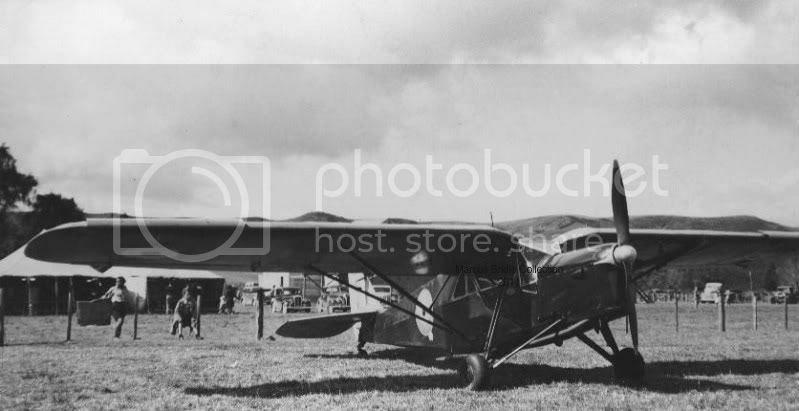 It's been awhile since I've done a photo thread and with the raised awareness of early aviation after the TVAL airshow last weekend I thought I might do one for aircraft in NZ before WWII. 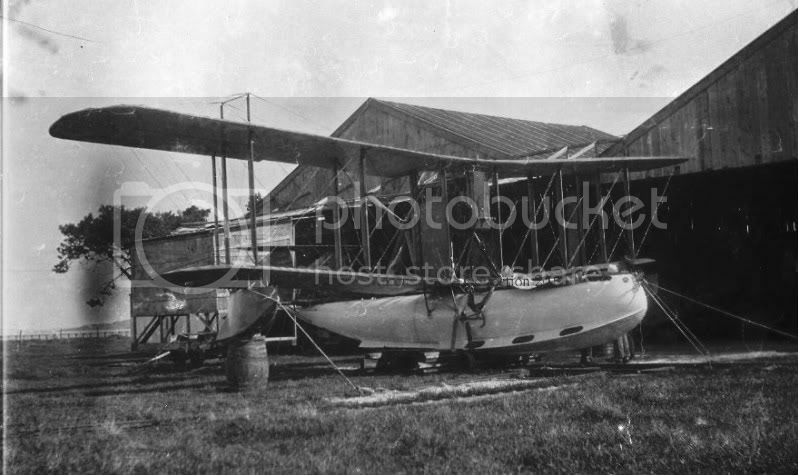 1st up, Supermarine Channel II flying boat G-NZAI of the Walsh brothers at their Mission Bay base. 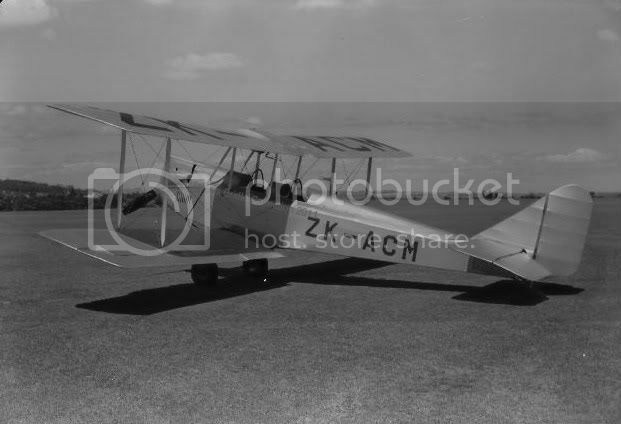 Avro 504, ZK-ACN (Delivered new to the NZPAF in 1925 as 201). 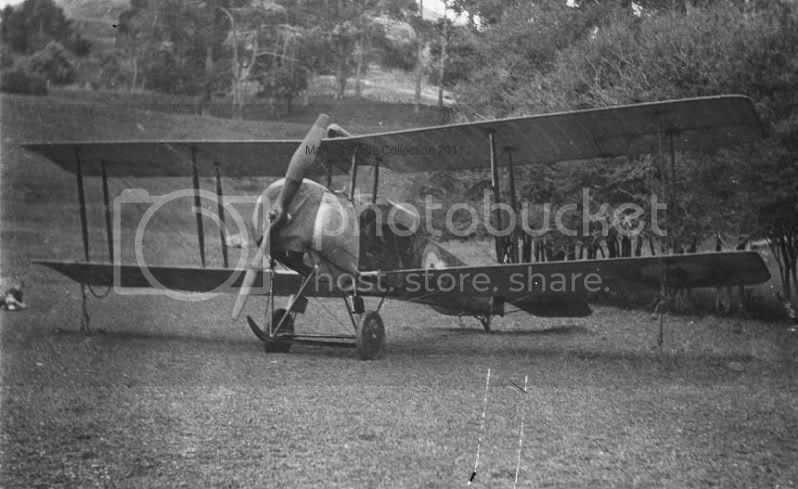 Avro 504 G-NZAA (H2989), one 20 "Imperial Gift" 504s delivered in 1920. 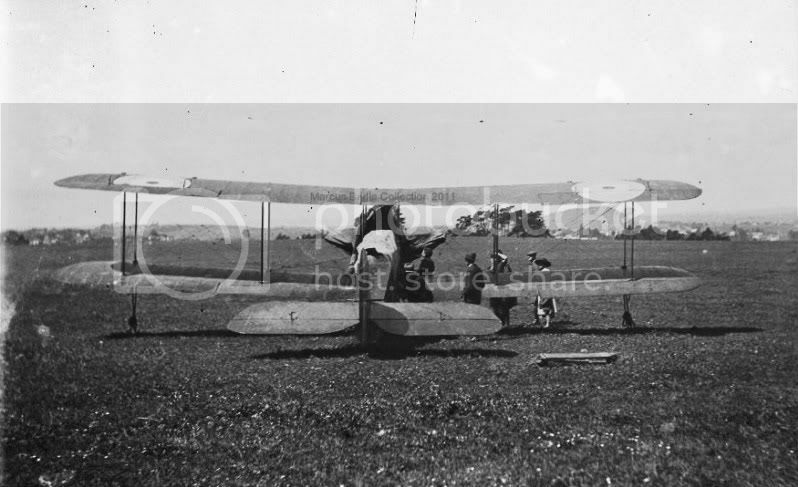 Avro 504 G-NZAO (H5241) of the NZ Aero transport Co., one 20 "Imperial Gift" 504s delivered in 1920. Photo possibly taken on the beach front at Gisborne. 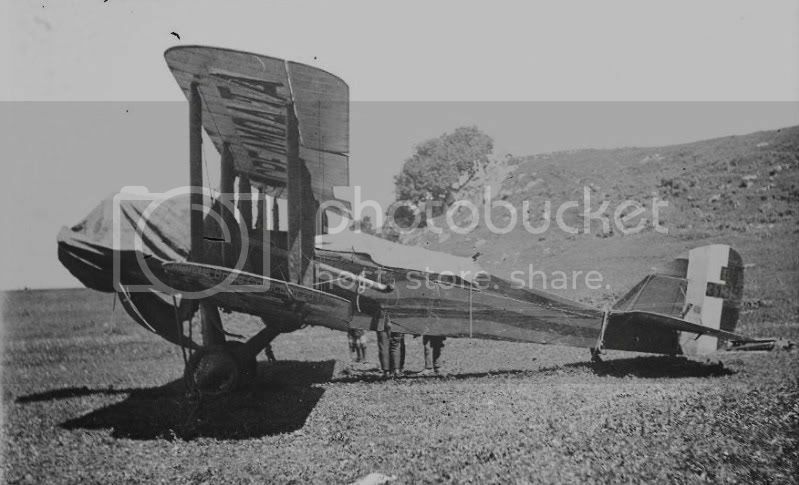 Avro 504 Coupe' G-NZAR (E9427) of the NZ Aero transport Co. on One Tree Hill. Simmonds Spartan ZK-ABU, withdrawn from use and cancelled March 1939. 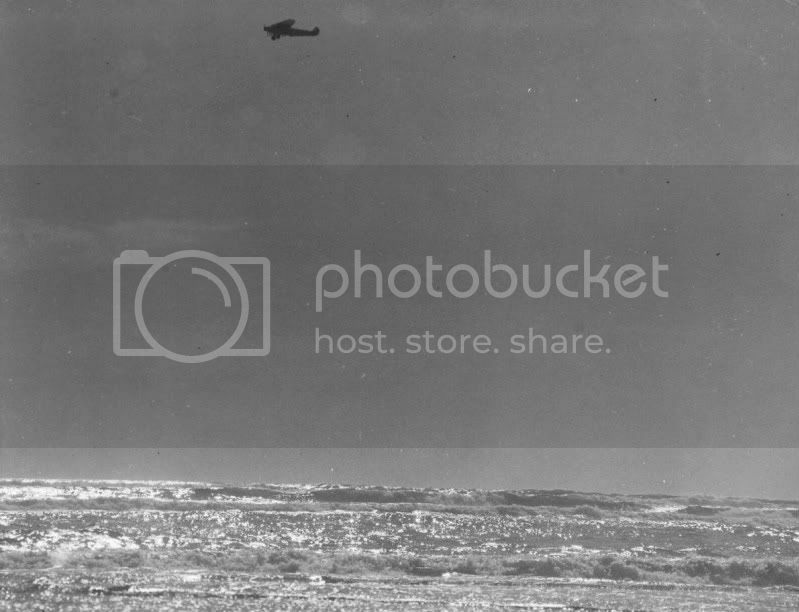 Mystery time, does anyone know the identity of this aircraft? Spartan, obviously - but which one? From the paint job and the look of the location I'd plump for Nancekivell's ABU at Hokitika. Great thread Marcus. Are these all Leo Walsh shots too? What was the fate of the Supermarine Channel? Great photos, Mr Hairy! Thanks for sharing. Didn't the Supermarine Channel end up being burnt on a beach somewhere, possibly with the Boeing seaplanes? Fantastic images, Hairy. Did you notice that ZK-ACN has "ZK-ACS" on its top wing? Can't wait to see more. Thanks Peter. What a shame that boat didn't last the distance, it could have made a great basis for a restoration. I didn't even get that far............... .
Are these all Leo Walsh shots too? 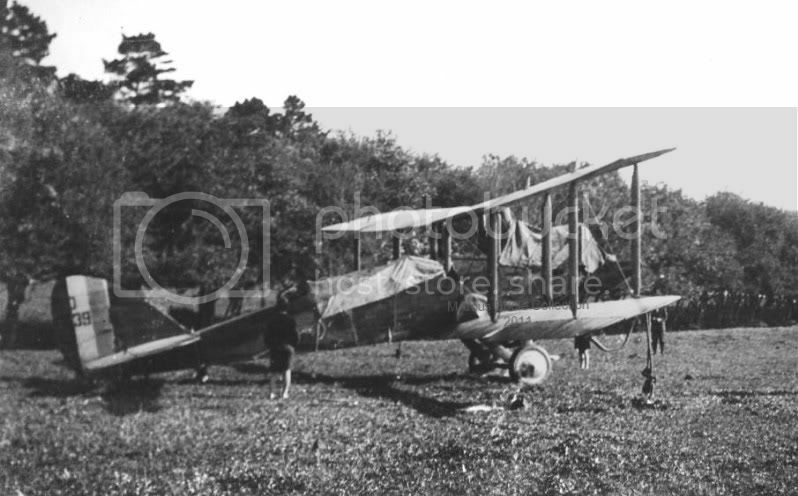 I have added the source of the photo if known but, yes, they are mainly Leo White via Whites Aviation or Stewart and White. (I have used a generic "Whites" for these photos). 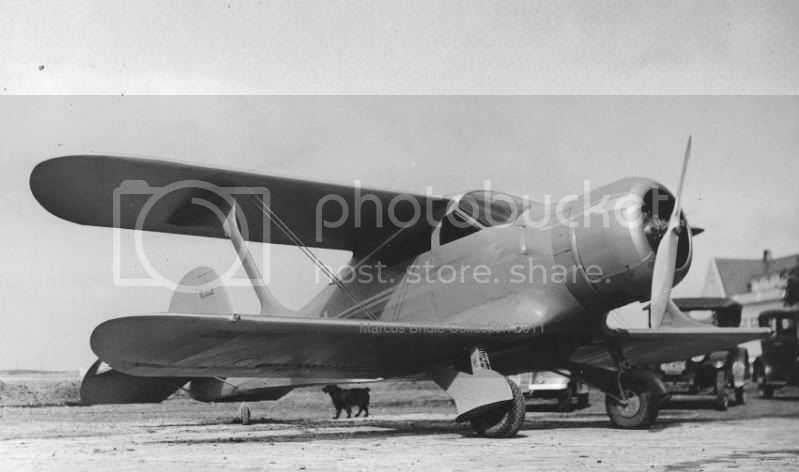 For this post I will start with a personal favorite, The Auckland Aero Club Beech C.17L ZK-AEU. During the war AEU was impressed as NZ573, after the war she was de-mobbed back to the AAC as ZK-AJS on the 24th of May 1946. ZK-AJS was sold to Australia as VH-BOU in 1955. This aircraft still survives in storage (restoration) after a take off accident in 1967. 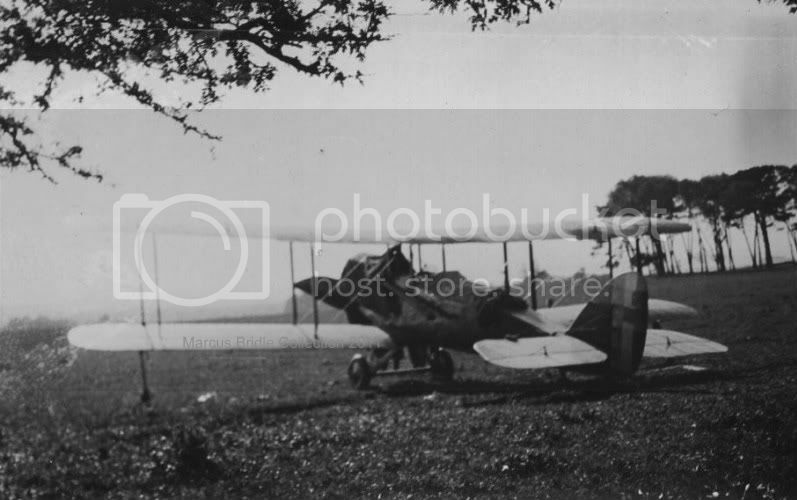 Seen here at Mangere in 1938. ZK-AJS on the 30th of May 1946 just after being de-mobbed. This is how she looked after being re-painted. 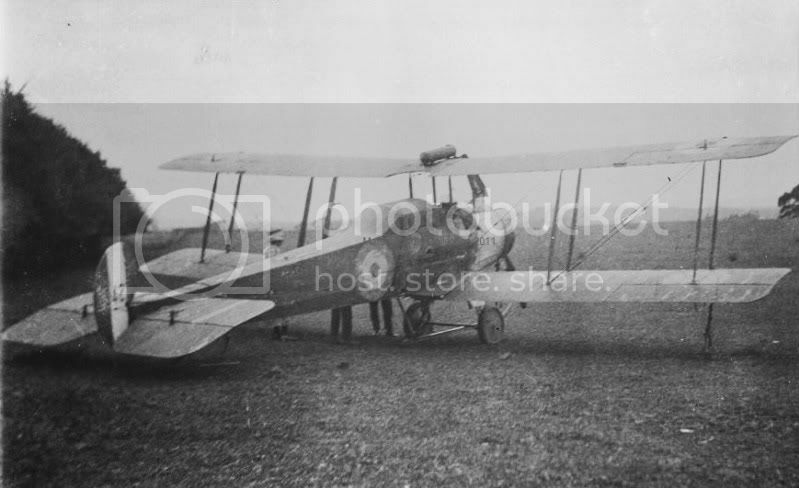 Next up we have Airco DH.9 G-NZAM (ex. D3139) which arrived in 1920 as part of the Imperial Gift and was issued to the New Zealand Aero Transport Company of Timaru. D3139 was painted in a wavy-striped scheme of yellow and red and modified to fit 3 pasengers. 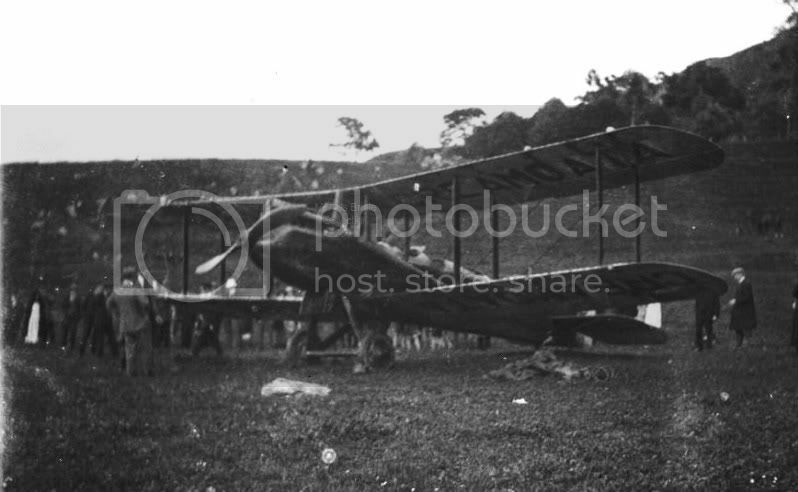 D3139 was the first aircraft to fly over Stewart Island. 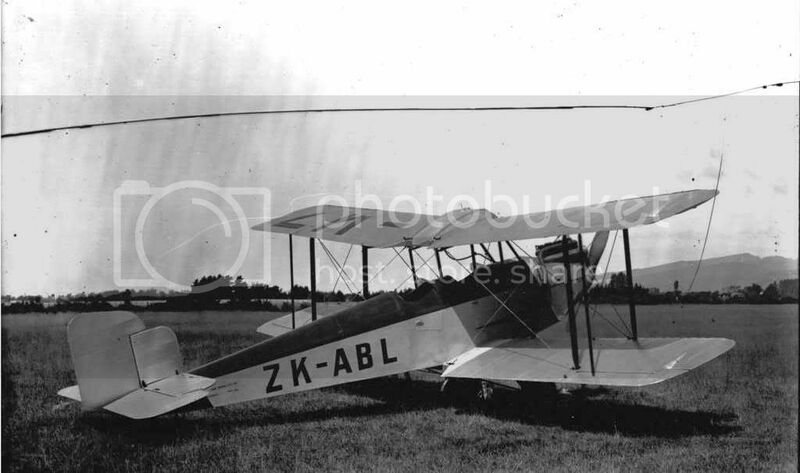 When NZAT Co. went into liquidation in March 1923 (the same month it was allocated the registration G-NZAM) D3139 was returned to the Government and put into storage, then in 1925 it was rebuilt by the NZPAF and returned to service as '3139'. 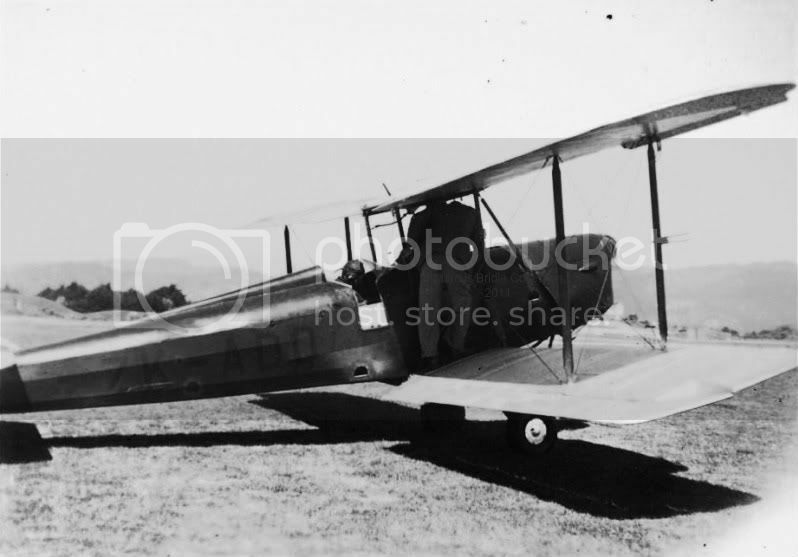 3139 made its last flight with the NZPAF on the 14th of August 1929 and then, after a total of 184 hours in the air, she was stripped of her wings, fuel tank and engine and was burnt on the dump at Wigram in late 1929 or early 1930. The propeller of D3139 survives as an exhibit at the Auckland War Memorial Museum. 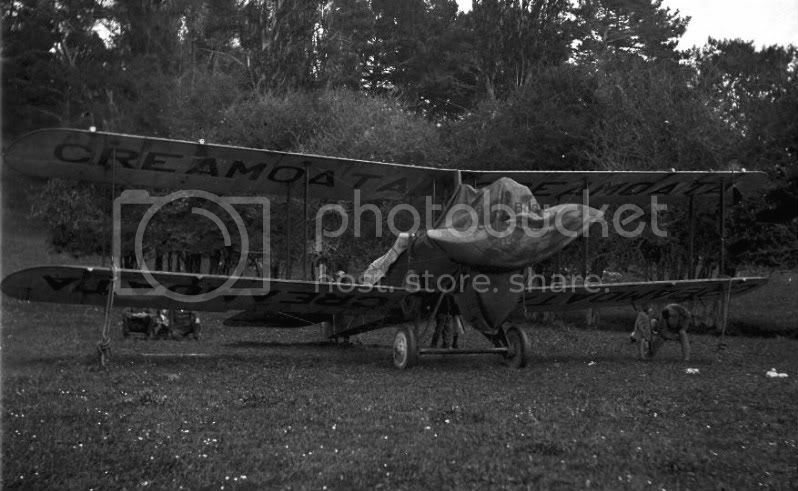 D3139's biggest claim to fame is flying from Timaru to Auckland in 1 day on the 25th of October 1921, with sponsorship from Creamoata, piloted by Bert Mercer with Herbert Fleming (from Creamoata) and 'Wigs" Wigley (NZAT Co. MD) as passengers. 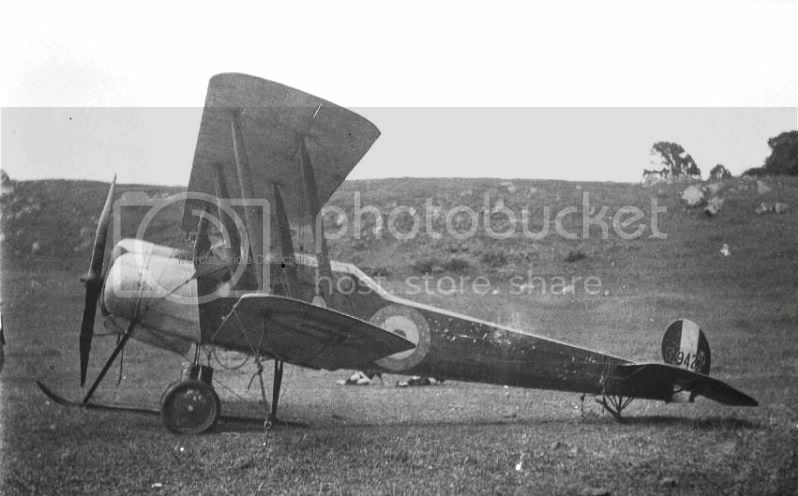 These photos are of D3139 at the conclusion of that flight on One Tree Hill. You can see the red and yellow stripes in this picture. My apologies for the quality of some of the above shots but some of the negatives have not survived quite as well as the others. 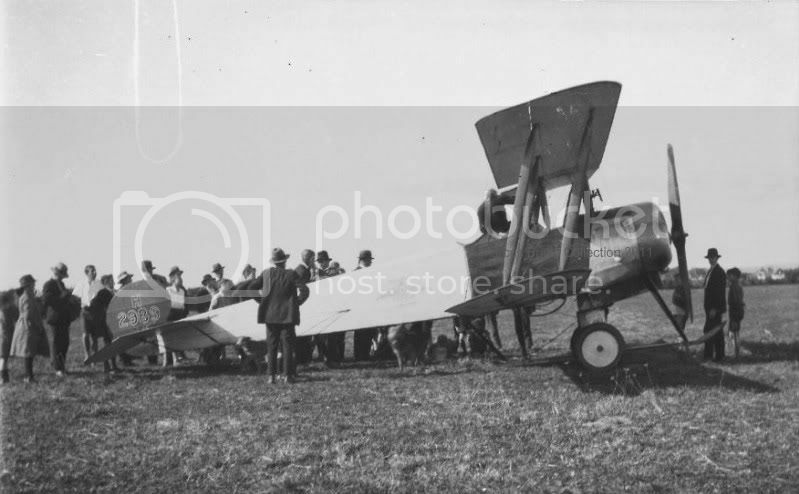 I have often wondered if that aircraft with Creamota painted on if as a sponsor's logo is the first such product-sponsor painted aeroplane in NZ's history. or were there others before this point in time wearing product names? A report surfaced at some stage that a memorial tablet commemorating the D3139 flight had been laid at the landing site on One Tree Hill. We tried to follow it up at the time, but inquires through the Trust Board and the Auckland City Council failed to find anyone with any knowledge of its current location or even existence. Anyone with any ideas? It'd be a nice find. There was an Avro 504 with a "Gold Crown Gasoline" sponsorship livery around. Not sure if that was before or after D3139. 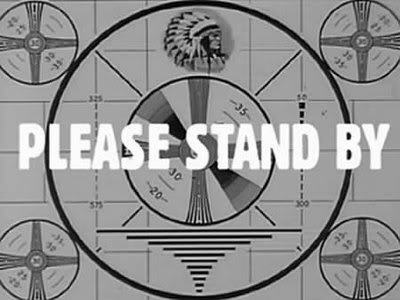 Now that things aren't quite so hectic and I've got a wee bit of time I shall continue. Here we have a selection pre-war DH-60s. 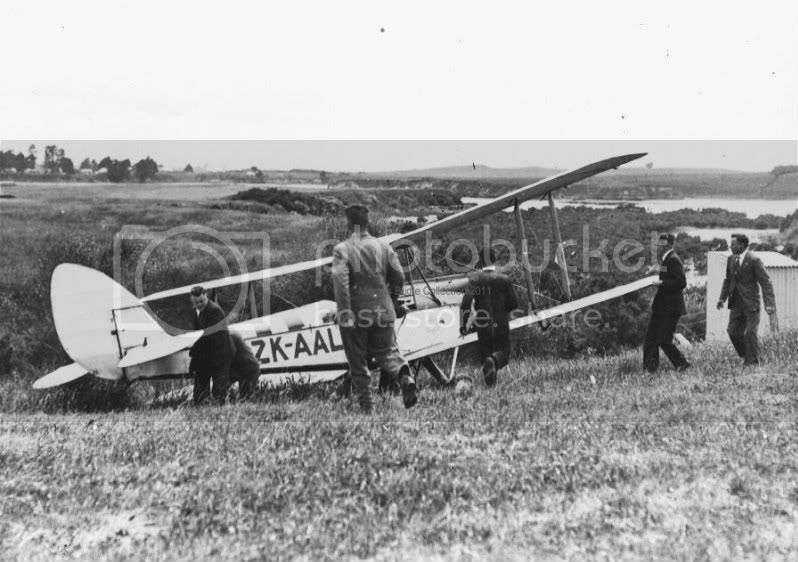 ZK-AAK (G-NZEB) was a DH-60G first registered in NZ in April 1929 and was lost in a crash at Mangere in October 1937. 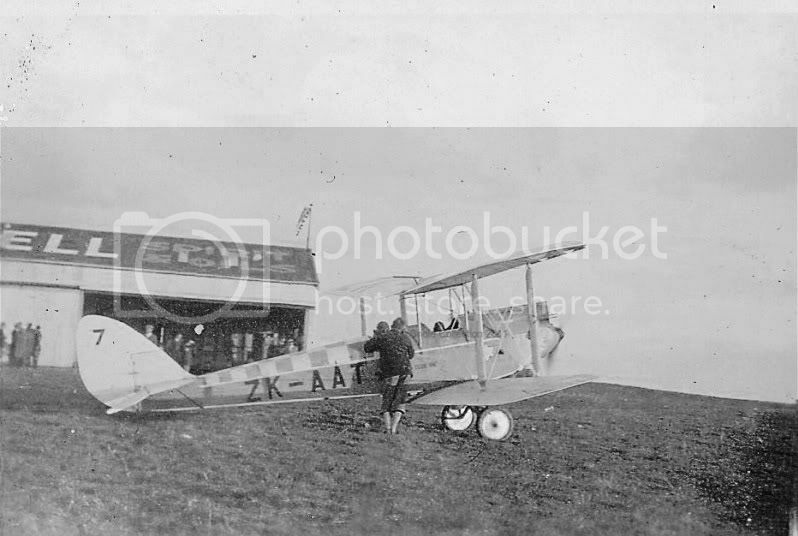 DH-60G ZK-AAL (G-NZAW), seen here at Mangere just after a slight mis-calculation, also arrived in April 1929 and later impressed into the RNZAF as NZ501 with whom it crashed at New Plymouth in February 1941. 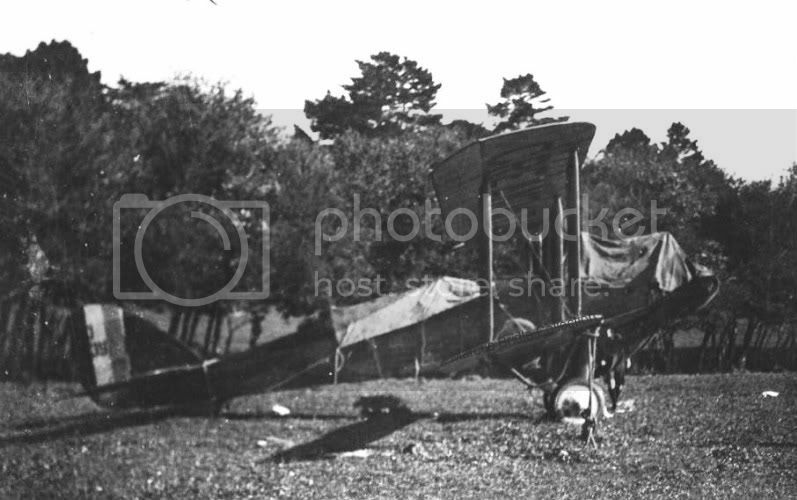 Here is a poor photo of DH-60G ZK-AAT which was registered in July 1929 and crashed at Mangere in March 1938. 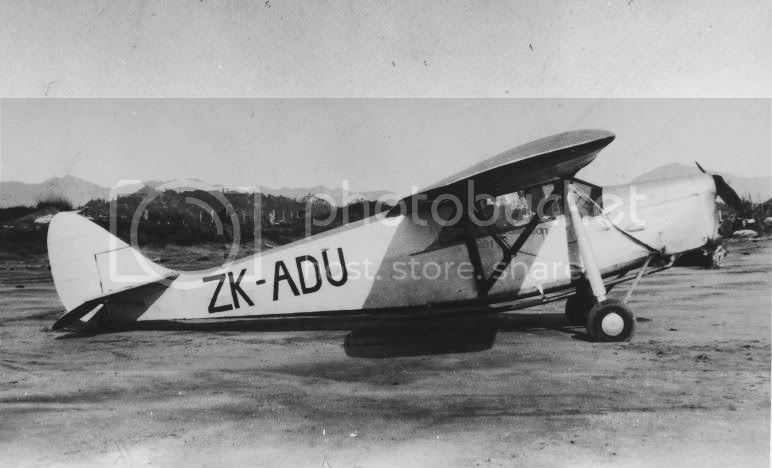 ZK-AAU was a DH-60G first registered in October 1929. 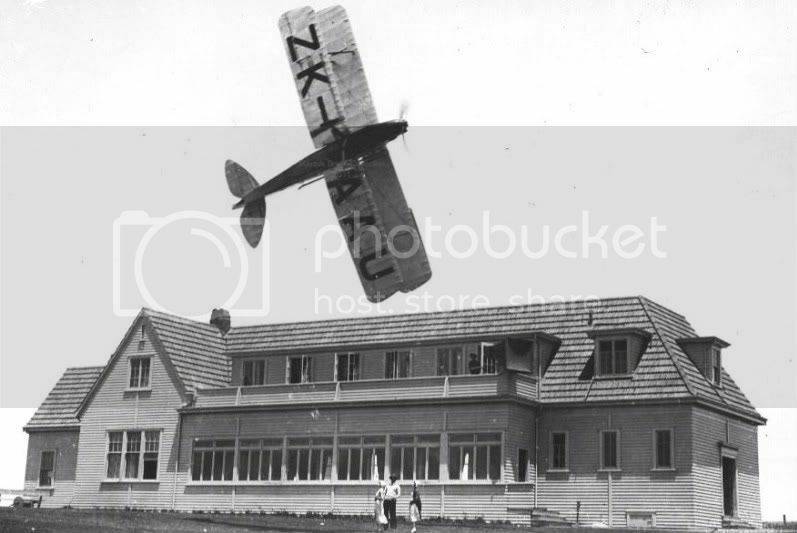 ZK-AAU crashed and was written off at Mangere in June 1936 and, after seeing this relatively well known photo, it doesn't really come as a surprise. 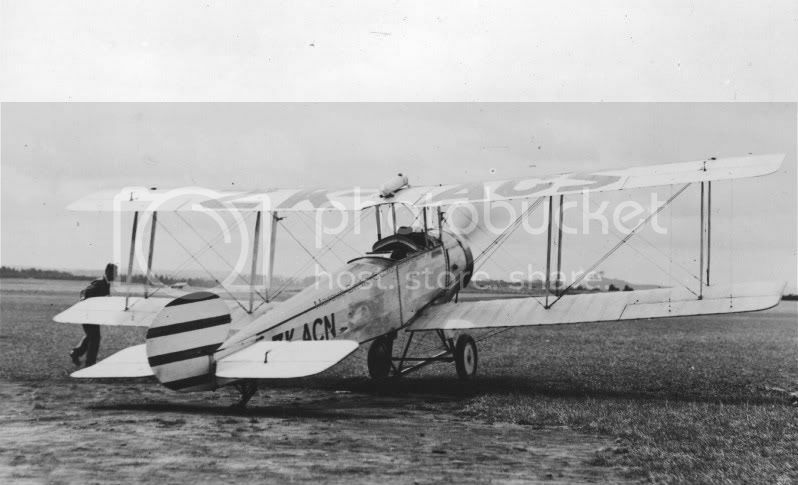 DH-60M ZK-ACC (ex.G-ABAN) came onto the NZ register in November 1930 and was later impressed into the RNZAF as NZ511 and then INST.41 at Ohakea where it was later scrapped. 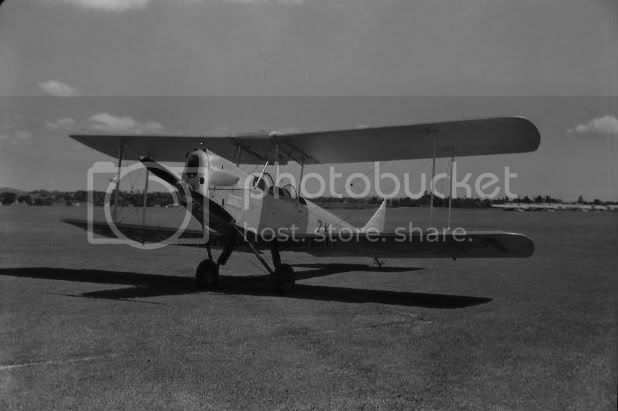 DH-60G-III Moth Major ZK-ADO came onto the NZ register in May 1935 and didn't last very long, crashing at Waiho and being cancelled from the register in June 1935. 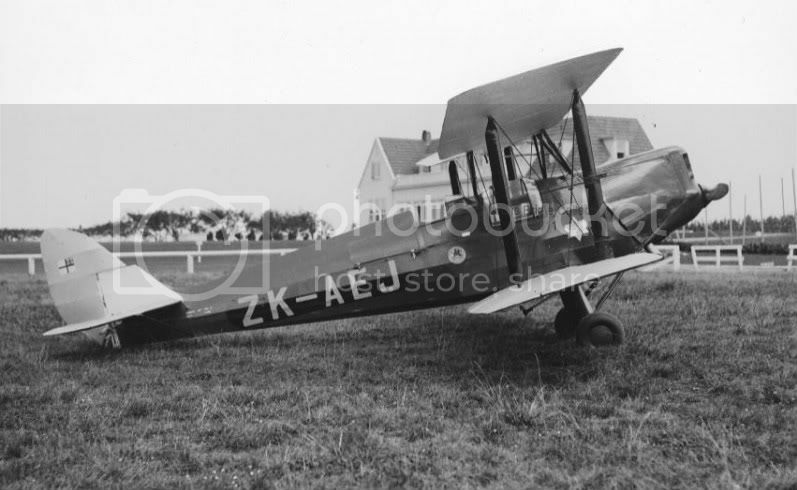 DH-60G ZK-ADT (ex.G-AAJO) was put onto the NZ register in December 1934 while still in the UK. 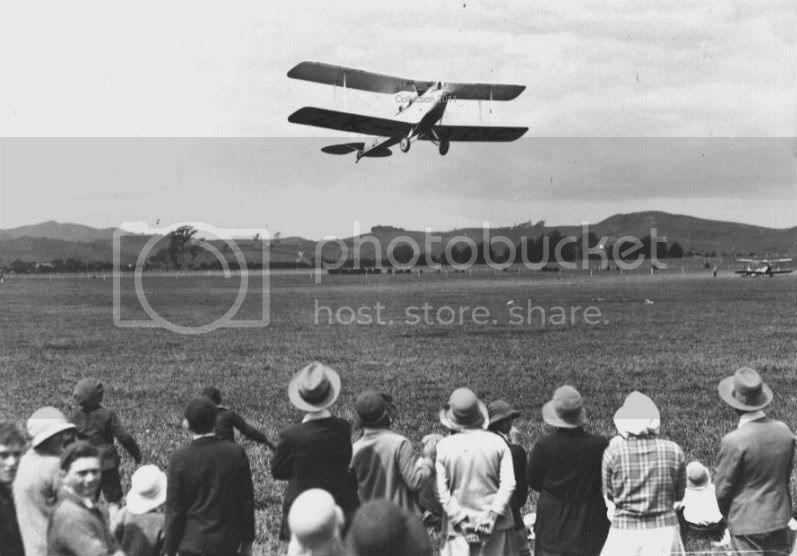 In February 1935 she made the epic flight from the UK to Sydney and was then shipped to NZ. ADT was withdrawn from use and stored in 1965 eventually being restored and returning to flight in 2004. ZK-ADT remains current. 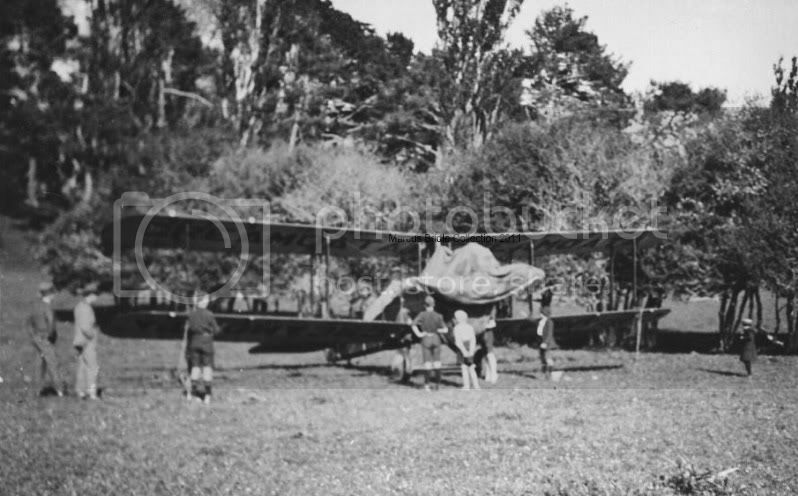 She is seen here in the late 1940's at Rukuhia. 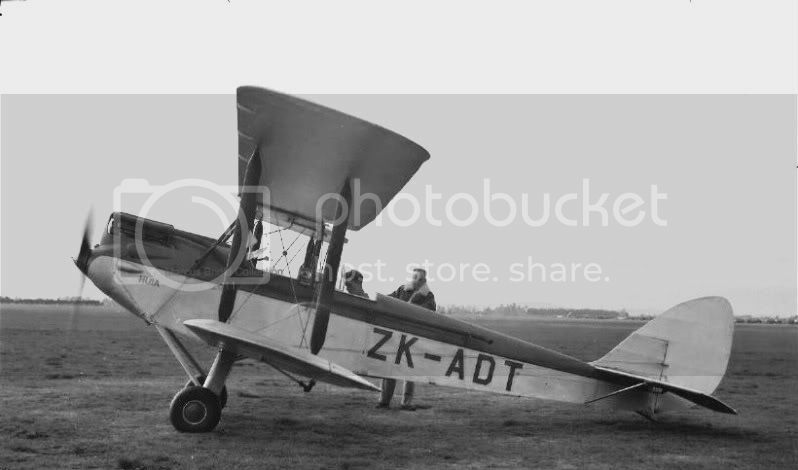 Last of my DH-60s is the well known DH-60M Racing Moth ZK-AEJ (ex. 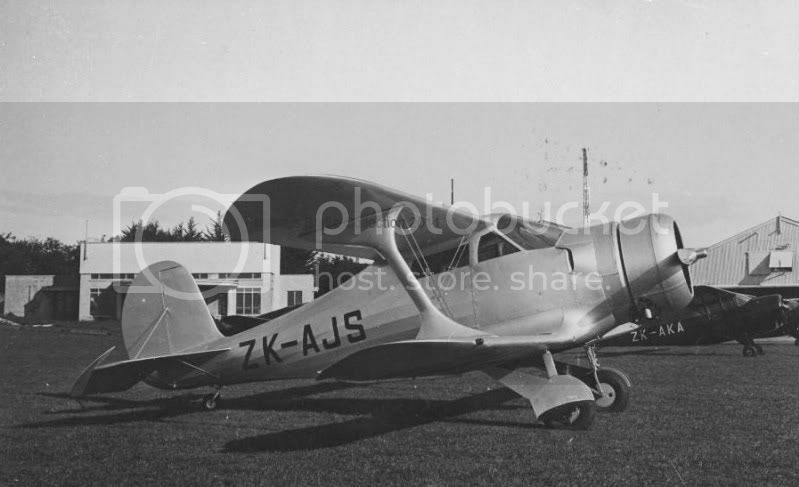 G-AAXG, F-AJZB) which arrived in NZ 1933 with its owner H.R.A.Kidston, it went onto the NZ register in 1935 after being sold to Reg Tappenden. 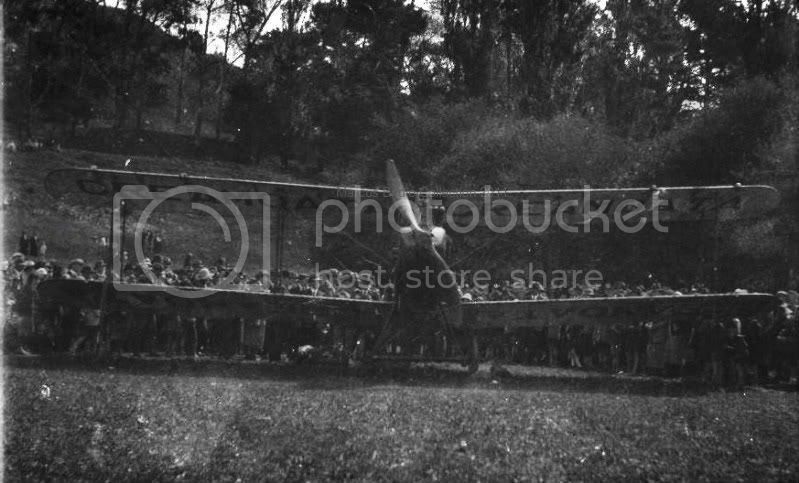 In 1939 it went into storage and was returned to the air in December 1945. In 2009 ZK-AEJ was sold to the UK where it has once again become G-AAXG. 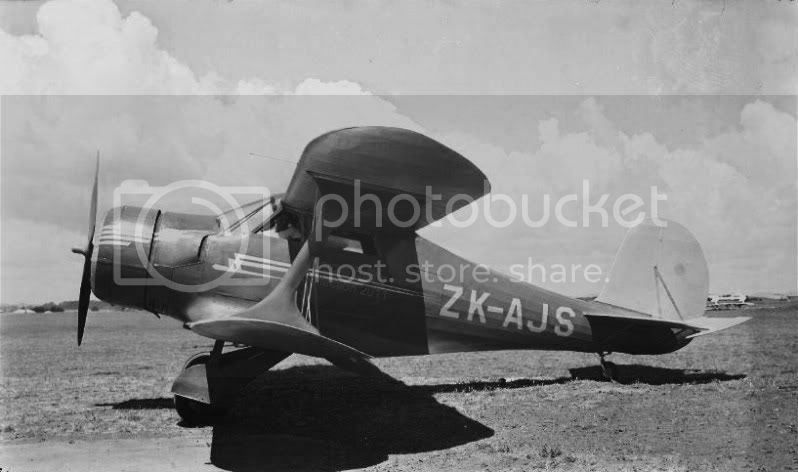 This is a photo of ZK-AEJ at Mangere in 1938 complete with a streamlined canopy for the front seat passenger. 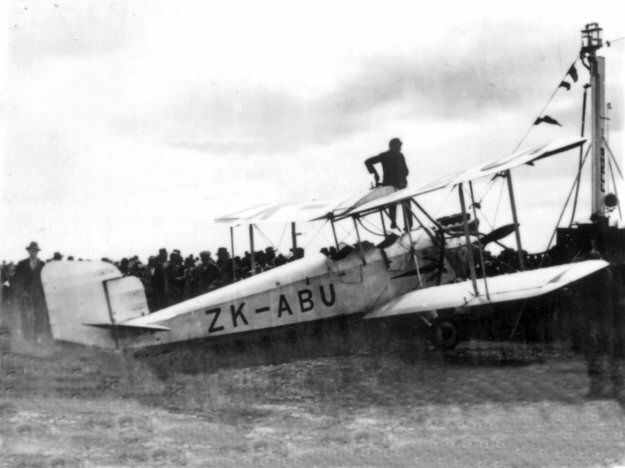 Here is ZK-ABG, which came onto the NZ register in November 1930. 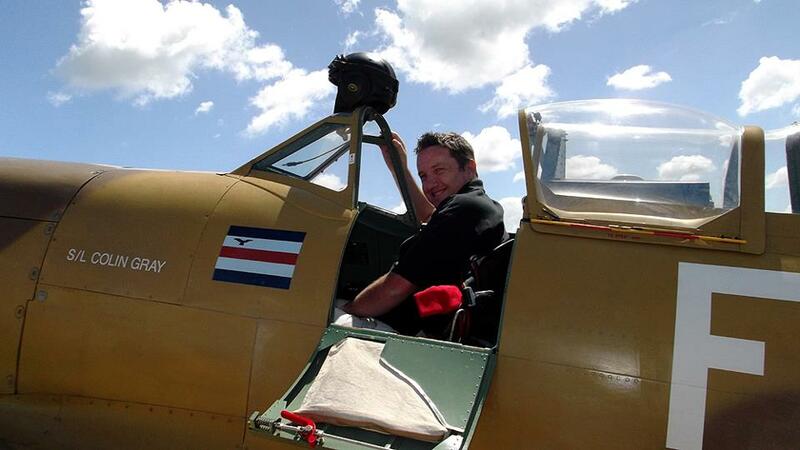 ZK-ABG was impressed as NZ594 surviving the war to rejoin the register as ZK-AJW. Eventually AJW was lost to a crash into the sea off Oamaru in August 1948. 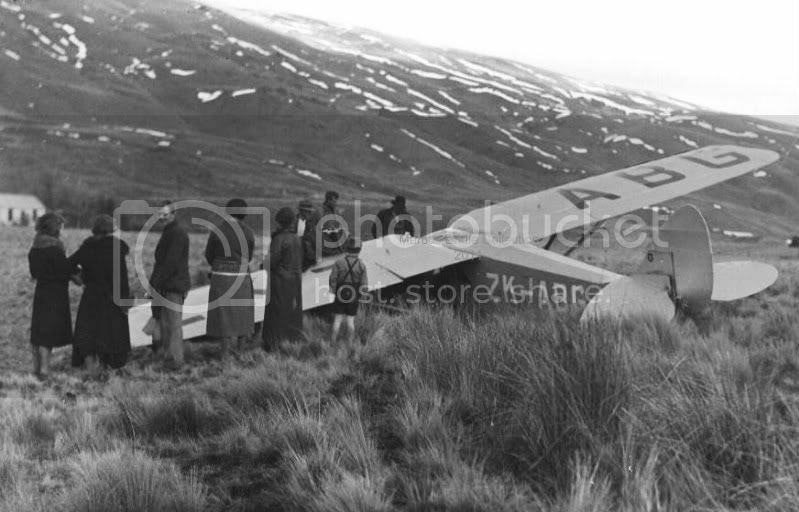 ZK-ABG is seen here after a wee whoopsie at Nevis on the 1st of June 1935. ZK-ADU (ex. 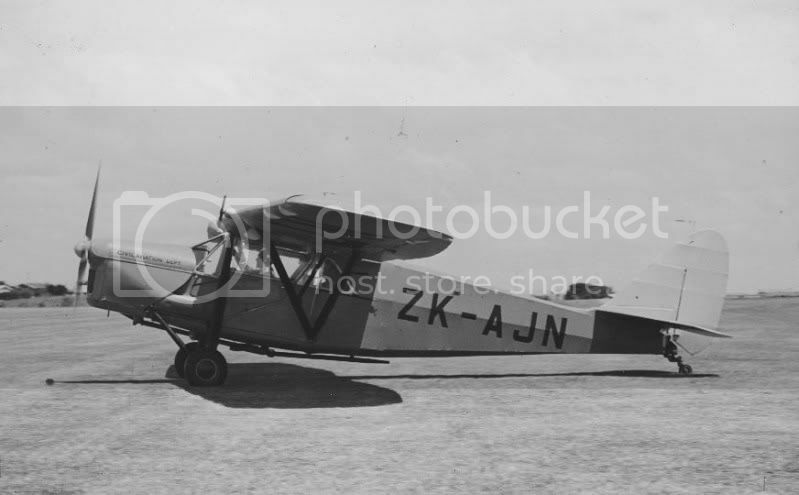 VH-UON, G-AATC) came on to the NZ register in June 1935 but withdrawn from use by August 1936 to be used as a source of spare parts for ZK-ABG and ACX. The remains survived to become subject to restoration at Mandeville but were sold to the UK where the restoration continues and the registration G-AATC has been reserved. 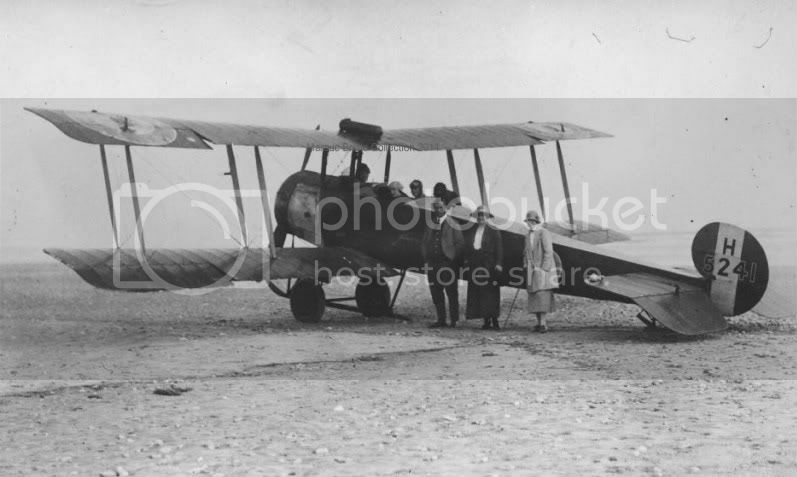 Finally, for tonight, is DH-80 ZK-ACX which came onto the register in 1931. 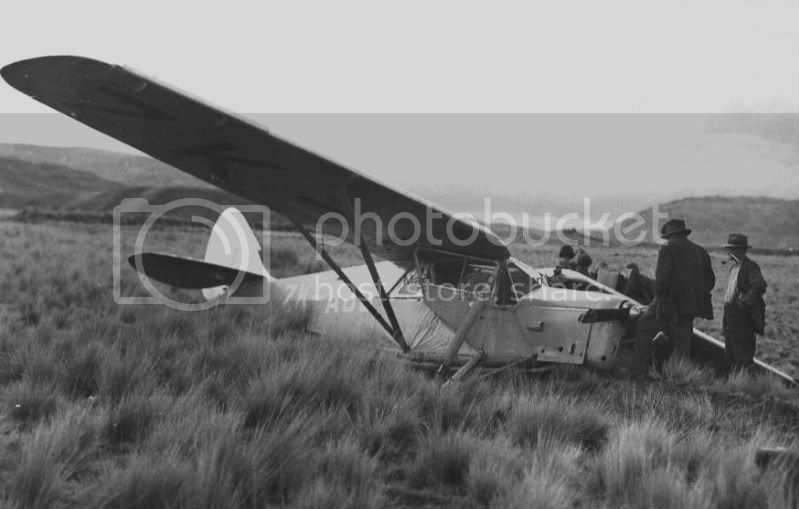 ACX was impressed as NZ593, after a collision with a Tiger Moth NZ593 was rebuilt with parts from NZ582 (ZK-ACB) and was re-serialed NZ567. At the end of the war NZ567 was de-mobbed as ZK-AJN and soldiered on until being withdrawn from use in July 1968. ZK-ACX/AJN survives awaiting its turn at restoration at Mandeville. She is seen here during her wartime service as NZ567. ZK-AJN is seen here shortly after the war whilst being used by the Civil Aviation Dept. 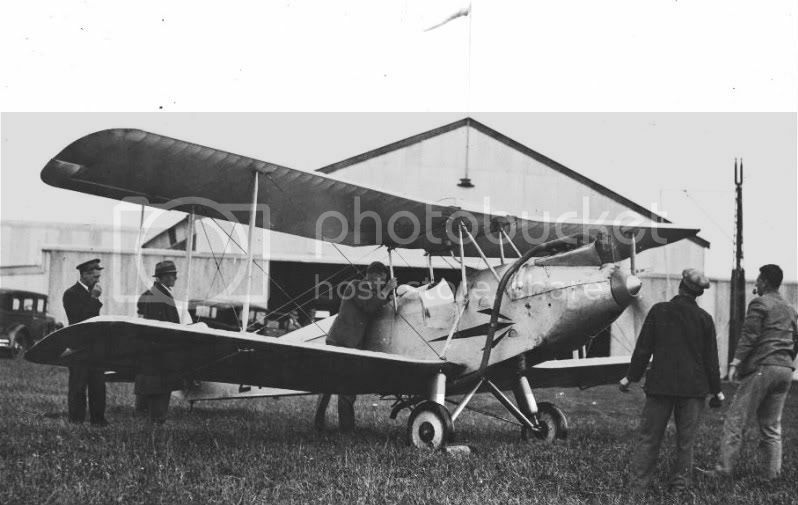 Canadian Knight & Whippet Motor Co.Ltd., Wellington/Wellington AC, Rongotai (2-seater, conv to 3-seater)/Goodwin-Chichester Aviation Co.Ltd., Wellington/Thomas A Baikie, Tauranga/D C Miller, Turua. Where do you think the photo was taken? "Canadian Knight & Whippet Motor Co.Ltd"
That is SUCH a cool company name!! We'd need a bit more to go on than just a grassy paddock! 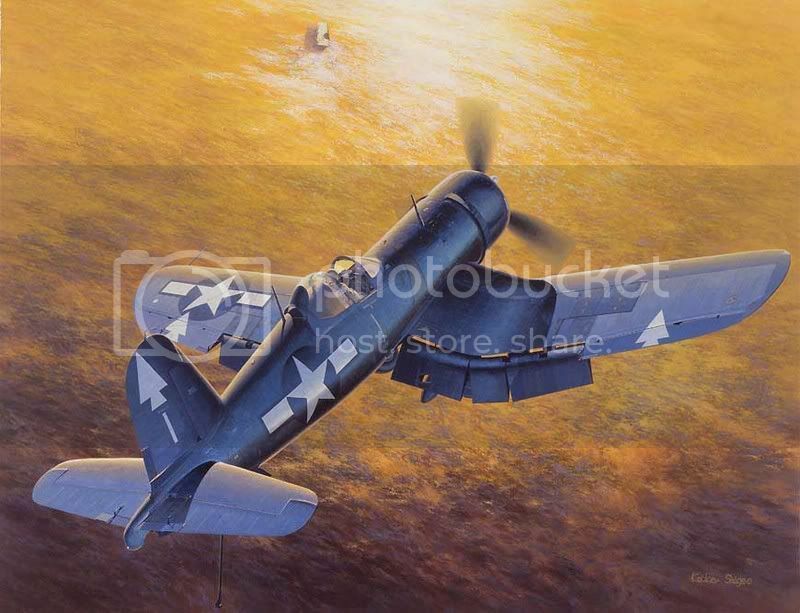 I do note, however, that the upper starboard wing appears to lack the registration that should be painted on. Perhaps recently replaced or recovered after a mishap? They were the NZ Simmonds agents, as well as being motor car importers. Interesting factoid: Prewar, trade outside the limits of the British Empire was actively discouraged by the NZ and other Empire Governments. Thus many US companies, effectively otherwise shut out of a large market, set up subsidiaries in Canada to manufacture their goods for distribution into the Empire. Therefore most early Ford cars imported into NZ came not from Ford plants in the US but from Ford Canada. The Willys-Overland car company did the same exercise to get their Whippet and Overland Knight-engined cars into Empire countries including NZ. 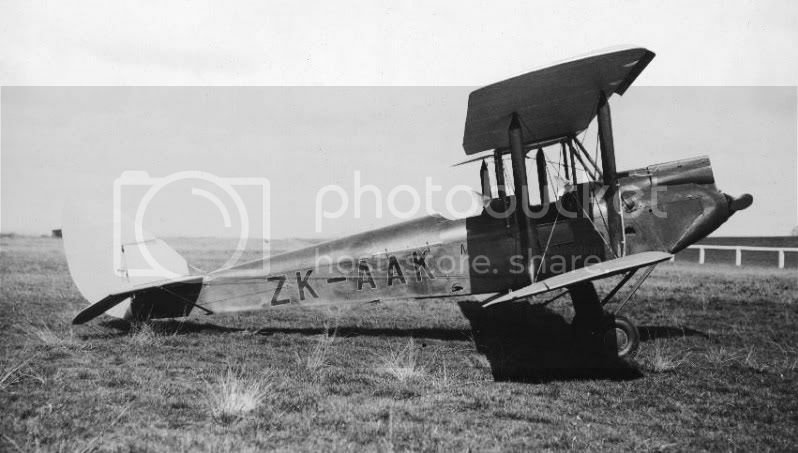 One active brain cell seems to tell me that Holm Kidston, the fellow who later bought Racing Moth ZK-AEJ to NZ, set a Auckland-Wellington speed record driving a Overland Whippet sometime in the 1920s.